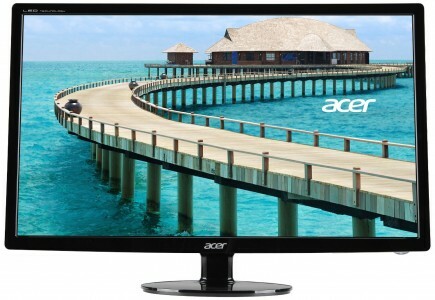 Newegg.com has the Acer S241HL 24-inch LED Monitor Sale Priced for $119.99 with Free Shipping when you use promo code "EMCATNT39" at checkout. Same price at Amazon with 4.6 of 5-star rating from 200+ buyers; similar good reviews elewhere. The S240HL has 1920 x 1080 @60Hz full HD resolution with HDMI, DVI and VGA inputs, 5ms response time, built-in speakers, and a 3-year warranty. 72-HOUR SALE! Limited Time Only! Shop Home Entertainment Sale at Newegg.com, Ends 4/19, While Supplies Last.